Obtaining A Genuine Manufacturer Warranty Quote Is Easy! New Mopar Protection Plans (for vehicle's within 4 years and 48,000 miles of original warranty start date) extend your vehicle's Standard Warranty with the New Maximum Care to cover 5,000+ components, the New Added Care Plus to cover 800+ components or the New Powertrain Care Plus to cover 400+ major components. New, Used and Certified Pre-Owned Ford Protect ESP PremiumCare Plans extend your vehicle's Standard Warranty by covering 1,000+ components. Lincoln Protect PremiumCare Plans cover New, Used and Certified Pre-Owned Lincolns. 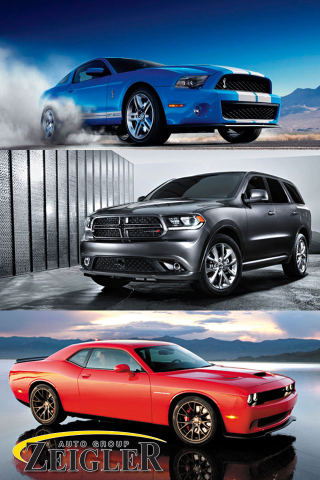 Get your exact price with NO financing fees at Mopar and Ford! Why pay full retail for true factory-backed Mopar or Ford extended warranty protection? For the best coverage at the best price, buy your Chrysler, Dodge, Ram, Jeep, Ford, Lincoln or Mercury extended service warranty online here from Zeigler Auto Group! Free financing options are available, and extended service warranties come with no sales tax. To obtain an online quote for a genuine factory-backed Mopar or Ford extended service warranty, simply click either this Mopar Vehicle Protection Plans menu link or this Ford Protect Extended Service Plans (ESP) menu link at the top of this page and proceed through the easy-to-use Quick Quote steps available on both sites. Our handy Quick Quote system is available anytime day or night, so you can buy a Mopar or Ford extended warranty immediately. You may also call Zeigler Auto Group at 866.943.7778 and one our extended warranty specialists will be happy to help you. If you have already gotten a quote, submit the quote number in the Review Quote section or login to the Customer Login section at the right of this page and review your previous application or contract information. You may also perform either of these processes in the <="" span="" style="font-style: italic; font-weight: bold;"> and Ford extended warranty Zeigler Auto Group sites.